racquets and shuttlecocks will have everyone playing like pros. 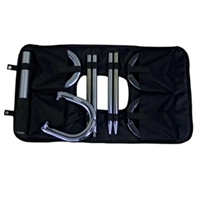 Set includes: . 3 pc. - 1.5 in. Telescopic aluminum poles . 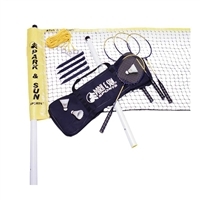 21 ft. Official size net with 4 in. 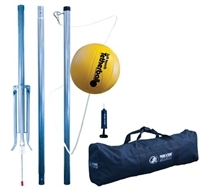 The entire family can enjoy this playground quality Portable Tether Ball Set from Verus Sports. 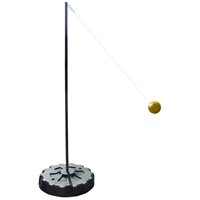 The base is durable and easy to move, simply hold the tether ball pole and roll the base to the desired location. 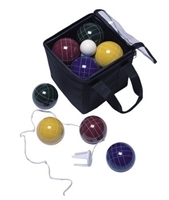 Soft To The Touch 8-inch regulation size tether ball with a 72-inch nylon cord and steel hook attachment. Bonus ground stakes if you would like to fix the tether ball set into the ground. 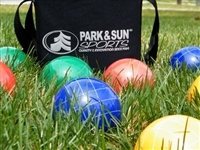 This Portable Tetherball Set can be used on the cement or the grass. Three (3) ground stakes included for grass play go into the base for additional support. Base to pole connection without the need for a metal base plate or wheels for portability. Combines portable play on cement or on the grass too. Ground stakes included for grass play go into the base for additional support. Steel pole stores in the base for space savings in non play times.